This clean-up activity is MSC’s way of following DepEd regulations and to ensure that actual experience in community involvement and participation will help develop students to be caring, well-rounded individuals. 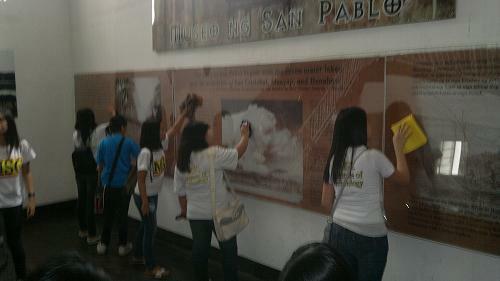 As part of their Citizenship Advancement Training (CAT) class, the MSC High School Seniors trudged their way to the Museo ng San Pablo at the Old Capitol Building, San Pablo City on June 18, 2011 to help in cleaning up the place and the surrounding area. 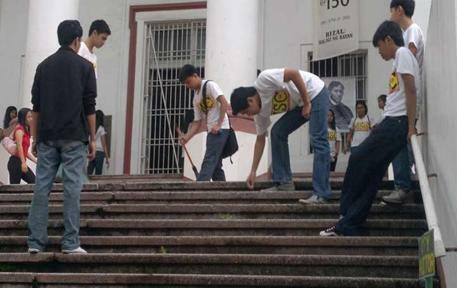 The fourth year students, together with their CAT teacher, Mr. Joseph Gutierrez, readily gave a hand in putting the Museo in order with the clean-up which iincluded sweeping, wiping, and polishing floors and surfaces as a preparation for its upcoming official opening of the Museo on July 29, 2011. 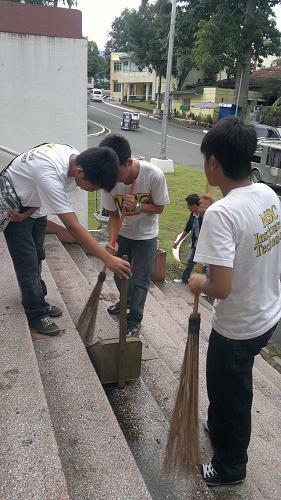 The Seniors extended their service in the cleaning of the stairs and the street in front of the Capitol Building. Citizens Advancement Training is a restructuring of the Citizen Army Training required to all Fourth Year High School students in the Philippines in both public and private schools as provided for in the Department of Education (DepEd) Order No. 35, s. 2003 and reinforced by the DepEd Order No. 52, s. 2004. It aims to enhance the students’ social responsibility and commitment to the development of their communities, develop the ability to uphold the law and order as they assume active participation in the community activities, and to develop readiness in assisting the members of the community especially in times of emergency. This clean-up activity, as an opening salvo of the CAT class, is MSC’s way of following DepEd regulations and to ensure that with actual experience in community involvement and participation, its students will grow and develop to be caring, well-rounded individuals. This also goes to show MSC’s commitment to the community and its hope of its continuous advancement and growth. This entry was posted in High School and tagged CAT, Citizenship Advancement Training, Faith Yente Millares, Joseph Gutierrez, Museo ng San Pablo, Old Capitol Building, san pablo city on August 8, 2011 by mscadmin.